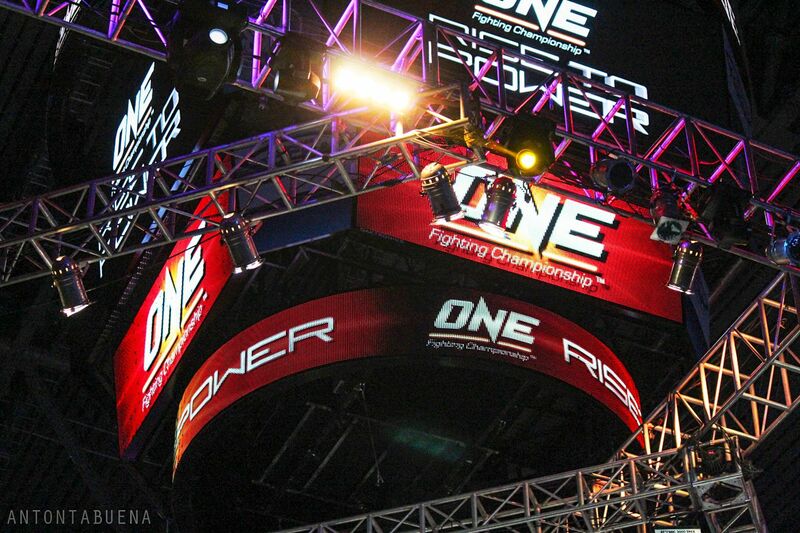 Get the Full StoryA look at what ONE Championship s financial filings tell us about the promotion The mixed martial arts promotion ONE Championship has seen itself in the news this last week with a pair of major developments. The first was the announcement that they closed a 166 million financing round, bringing their total capital base above 250 million US dollars . This represents a level of investment unheard of in a young MMA promotion. Not even Zuffa was willing to invest that much in the UFC before their success with the Ultimate Fighter. The closest comparison is probably the hundreds of millions Waddell & Reed Financial invested into Premiere Boxing Championship. The second development was the news that ONE Championship signed former UFC and Bellator lightweight champion Eddie Alvarez, who is very likely the highest profile MMA fighter the promotion has ever signed. It not only demonstrates that they are very interested in acquiring the top fighters in the sport, but that it is also an attractive option for those very same fighters. News like this seems to affirm ONE Championships's claims that they are not just another MMA promotion, but perhaps the first promotion since Pride to be on par with the UFC. As a Forbes story put it, the UFC and ONE represented a "duopoly" over the sport. Where the Ultimate Fighting Championship was the King of mixed martial arts in the western world, ONE Championship was perhaps even more dominant in east. Earlier this year Variety put their valuation at 1 billion, while the promotion s CEO, Chatri Sityodtong, even predicted that ONE would eventually be not only more valuable than the NFL but would swallow up the UFC. While such boasts can be written off as pure hyperbole, it's worth noting that some of these views are shared by the UFC's president Dana White, who testified last year during his deposition in the Zuffa antitrust case that ONE was a monster. A. I will tell you what -- I will tell you what drives me crazy, what cracks me up, is we re trying to get into Asia; so we have been working on Asia for a long time. And every time I do interviews over there, they say, Are you guys like ONE FC? Is that what you are. Yeah. Yeah. So it s owned by a billionaire. And every time I do interviews in Asia, they ask if the UFC is like ONE FC. What are you guys, like ONE FC? Yeah, no. We re like the UFC, but yeah. They re not a minor grassroots organization. They re a monster. The problem with all these statements by ONE Championship, the media, and even Dana White, is that they do not seem to match current reality. Bloody Elbow has acquired financial statements filed by Group One Holdings PTE LTD, the company that does business under the name ONE Championship, with ACRA, the Singapore Accounting and Corporate Regulatory Authority similar to the Security and Exchange Commission in the US for the years 2016 and 2017. These documents detail ONE s revenues, costs, losses, funding, and ownership stakes from 2015-2017.
" T he consolidated financial statements of the Group and the balance sheet, statement of comprehensive income, statement of changes in equity of the Company are drawn up so as to give a true and fair view of the financial position of the Group and Company as of 31 December 2017 and the financial performance, changes in equity of the Group and the Company and cash flows of the Group for the financial year ended on that date." What the filings reveal is a promotion whose finances don t quite match at least not yet with the bold claims of parity with the UFC and billion dollar valuations. Note: Since ONE uses Singapore dollars S in the report, we will giving amounts in the same currency, identifying United States dollars US when used. The current exchange rate for 1 Singapore dollar is 0.73 US dollar or 1 US dollar is worth 1.37 Singapore dollars. One China Pte Ltd, which was incorporated on 3 August 2016 in the People s Republic of China. One Warrior Series Pre Ltd, which was incorporated on 13 December 2017 in Singapore. The filed statements often include amounts for both the Company and the Group. The Company is Group One Holdings ONE Championship , while the the Group is the Company and its subsidiaries, collectively. Since the first subsidiary was formed in 2016, amounts for the Group are not given for 2015. For simplicity s sake, all amounts I use from the 2015 statement will be for the Company, while those for 2016 and 2017 will be for the Group. ONE has raised a tremendous amount of capital primary through the issuing of two kinds of shares: ordinary and preference shares. Preference shares commonly confers certain preferential rights for the preferential shareholder, but a description of those rights has not been provided in the filing. The statement notes that the preferences shares shall have the same voting rights as the holders of ordinary shares and that with regards to dividends they rank pari passu , meaning on the same level. There is no record of any dividends being paid out as of yet. What the filings reveal is a promotion whose finances don t quite match with their bold claims. As of December 31, 2017 ONE has issued 12,469,705 ordinary shares raising S 45,491,735 in share capital and 5,090,101 preference shares for S 90,189,416 in share capital. Total Share capital on that date was S 136,111,132. Additional shares have been issued since then more below. ONE has also issued some restricted shares as part of a plan which grants fully paid shares, free of charge, to eligible participants if certain prescribed performance conditions which are not detailed are met. Chatri Trisiripisal listed as the Chairman of the Board on their website holds 3,666,265 total shares. Saurabh Kumar Mittal listed as Vice Chairman holds 5,832,156 total shares. Matthew Hume listed as Vice President of Operations & Competition holds 50,000 total shares. Rebel Holding Pte Ltd, which utilizes the name Rebel Fighting Championship, holds 3,666,264 total shares. Mission Holdings in the Cayman Islands holds 6,033,845 total shares. Sequoia Capital Global Growth II Principals Fund in the Cayman Islands holds 1,474,577 total shares. While it was announced that Manny Pacquiao purchased shares in ONE back in 2014, his name does not appear amongst the list of shareholders. Neither does ONE Vice President and former UFC champion Rich Franklin's. One of things that really stands out in the financial reports is the size of ONE's losses. For the three years covered by the balance sheets, each of them shows an annual 8-figure loss. Entering 2015, ONE reported accumulated losses since their founding in 2011 of almost S 28 million. With losses growing annually by more than S 10 million, total accumulated losses have grown by December 31, 2017 to almost S 93 million. ONE s losses, which by the end of 2017 were the equivalent of 67 million USD, are not unheard of for an MMA promotion. For example, Zuffa claims they were US 44 million "in the hole" before they turned the business around with The Ultimate Fighter. Zuffa might be the exception, though. More common are the experiences of the IFL or Pro Elite. The International Fight League reported to the SEC total losses in 2007-2008 of US 31 million. While Pro Elite, the parent company of Elite XC, reported an accumulated deficit of US 87 million by the end of 2008. Both the IFL and Elite XC were shuttered shortly thereafter. Pro Elite though would continue, holding 3 more events between 2011-2012. By the end of 2016, it looked as if ONE may have been heading this way, with the report issuing a warning that the Group s losses and liabilities indicate the existence of material uncertainty which may cast significant doubt about the Group s ability to continue as a going concern. The ability to continue as a going concern depends on the continue funding from the shareholders to continue as a going concern. This concern over funding seems to have been corrected in 2017, for that year s statement doesn t question their ability to continue. Instead they show a closing balance at the end of the year of almost S 45 million. The total capital shares raised by ONE as of 13 August 2018 should therefore be a S 260,902,612. Earlier this spring, Variety proclaimed that the valuation of ONE could be in excess of 1 billion and that annual revenues of 100 million are imminent. While we have yet to see what their revenue will be for 2018, based on what they reported last year, it seems unlikely that 100 million is imminent. Over the last 3 years revenue has grown almost 30 annually, with total revenues rising from 10 million in 2015 to 16.6 million by 2017. While impressive, this is still well short of that imminent 100 million number. The largest source of revenue for ONE over the last 3 years has been Barter transactions which are described in the report as involving the exchange of advertising and media rights, in part, for other products and services. These barter transactions have increased every year, in terms of both total revenue as well as the share of the revenue. In 2015, they were S 4.3 million and 43 of revenue. This rose to S 6.8 million and 53 of revenue in 2016. Finally, in 2017 they totaled S 10.8 million and represented almost 2 3 of ONE's reported revenue. If it wasn t for this increase in barter transactions, revenue would have actually decreased from 2016 to 2017, with ticket sales and sponsorship revenue both going down. Besides tickets, sponsorships, broadcast, and barter, ONE generates income from such sources as merchandise, booth rental, and pay-per-view. The amounts from these other sources of income are relatively small, although some have been steadily growing. Merchandise, for example, has grown from S 15,702 in 2015 to S 99,379 in 2017, while pay-per-view has grown from S 31,414 in 2015 to S 72,555 in 2017. Even with this growth, their revenues are a fraction of the UFC s US 700 million plus a year. They even lag behind some other promotions. For 2008, Pro Elite had US 13.1 million in revenues or S 21 million in 2017 SGD . Strikeforce is estimated to have generated over US 20 million in 2010 S 31 million in 2017 SGD before their purchase by Zuffa for an estimated US 35 million. And Bellator s revenues are estimated to have been over US 25 million last year or S 34 million . One reason for the increase in losses has been the skyrocketing expenses for the promotion. For example event production expenses have more than doubled from 2015 to 2017. This is due both to an increase in the number of events and the average cost per event. In 2015, ONE held 12 events with an average event production cost of S 248,000. This rose to 14 events with an average cost of S 411,000 in 2016. By 2017, it was 15 events with an average event production cost of S 544,000. While increased event production expenses, most likely due to rising fighter purses, is to be expected, it played only a small part in ONE's rising costs. Employee including directors wages and benefits, professional fees, consulting fees, and marketing expenses all doubled, and then often doubled again, over the 3 years we have believed sheets for. ONE's strategy is therefore different from other would be competitors to the UFC. Where Pro Elite spent freely to acquire other promotions and Strikeforce was judicious with their debt, putting most their money into the fighters, ONE has instead put most their money into the staff and marketing. There is no difference between Facebook s business model and ours. in the first few years, all that Facebook cared about was users. Eventually, when their user base was huge, they could go to advertisers. We care about fans. Eventually we will go to broadcasters and advertisers. Perhaps ONE's strategy of spending now and worrying about revenue later will pay off. Based on the history of multiple MMA promotions that preceded them, it's just as conceivable that the revenues will not follow. Only time will tell if ONE will break the pattern. Bloody Elbow reached out to ONE Championship but they declined to comment.